Designed for women to carry various daily items during going out, or as a daily decoration. Two bag set women handbag, showing personalized, eye-catching and stylish appearance. 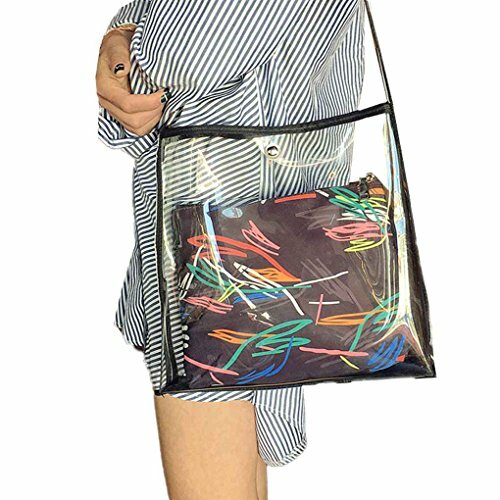 This women shoulder bag can hold A4 paper, tablet, cellphone, purse, umbrella, etc. Made of PU material, polyester lining, with soft, lightweight, durable and tough. Fits for casual, dating, work, vacations or shopping etc. Light and portable, easy to carry during going out. Good gift for you and your friends. 1* women PU shoulder bag set(1pc large bag+1pc small bag).